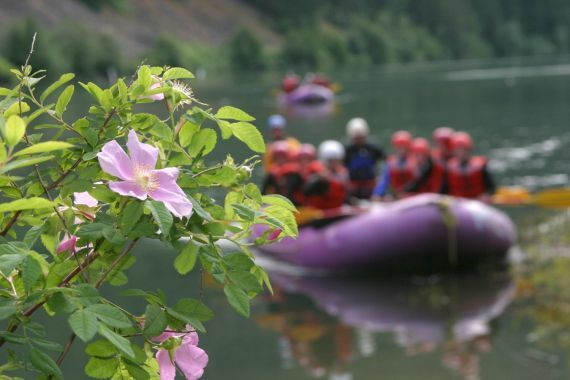 REO Rafting Resort offers simplicity in a beautiful wilderness setting just 3 hours from Vancouver. A truly private and secluded location, far removed from the hustle and bustle of the city. Fall asleep to the sound of the river and experience the freshness of nature. We offer amenities, activities, meals and WIFI. Join visitors from around the world at our unique and idyllic retreat. 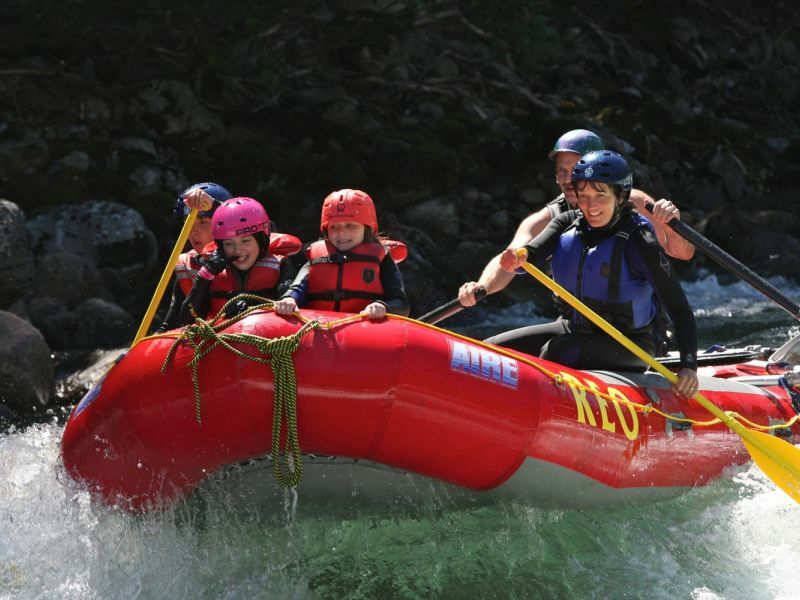 REO Rafting Resort was founded in 1983 after Bryan Fogelman had discovered the most fun and exciting river in BC, the Nahatlatch. 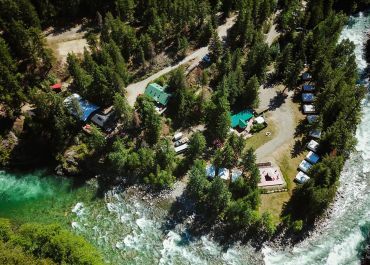 Located in the Fraser canyon, amidst kilometers of pristine evergreen mountainside, the jade-green rapids of the Nahatlatch made a lasting impression. 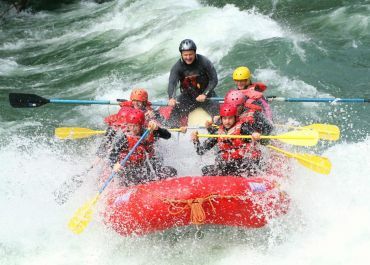 Unlike the other various rafting expeditions Bryan had experienced before, he was determined to share this discovery. He purchased a private section of the canyon from a local homesteader and gradually began constructing the unique river’s edge resort located there today. 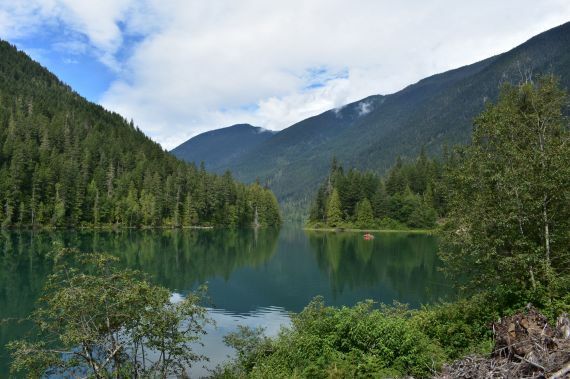 In the summer of 1993, Karen Pennell came to REO as a guest and in July of 1995 Bryan and Karen got married at the edge of the river on this incredible property. Their first child, Bryden (who later became a raft guide), was born in the end of the year. Their two daughters, Sierra and Tenaya, were born a few years later. It has since been a family operated company and a second home. What Does REO Have to Offer? REO offers guests the opportunity to immerse in nature and escape the anxieties of city life, by offering unique glamping tents that border the river and a variety of thrilling outdoor activities for all ages. 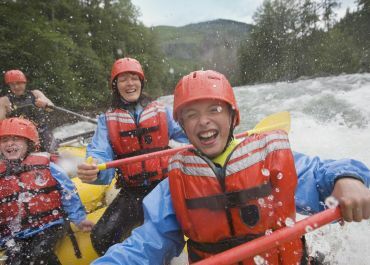 The Nahatlatch river is the perfect rafting experience, with non-stop continuous fun on 24 class 3 to 4+ rapids. It’s ideal for first-timers to experienced paddlers. The constant flow of the river can be heard from any location of the resort. Glamping tents have been a part of our resort for 25 years. They have evolved from their humble beginnings as an alternative for “campers” who didn’t have their own tent, to decorative rooms with private seating on riverside decks. Daily yoga classes or one of our yoga retreats, will sooth your body and mind . From beginner to advanced we have a range of yoga styles and class levels, perfect for anybody with lots of experience or none at all! If you’re seeking a more intimate yoga experience we provide private classes upon request. Enjoy wholesome meals overlooking the river, prepared from our energetic and hard-working kitchen. We happily provide daily plant-based specials and accommodate all diets and life styles. Your days here will be well-spent outdoors engaging with your family, friends, guides and even some wildlife! 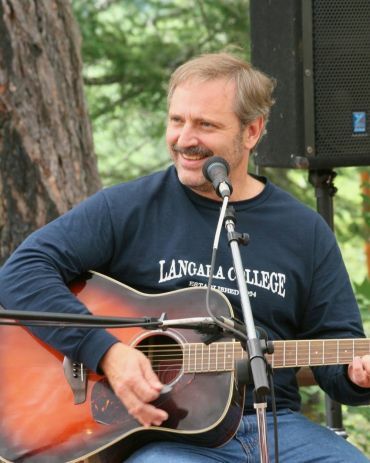 After a day of activities you can unwind with campfire storytelling, a soak in the hot tub, an aromatherapy massage, or entertaining live music! We encourage you to join us at our unique home away from home! Fresh air and quality fun!